Time to give some more puppylove! The first mixed photos are now published in the Puppy Diary. All pictures taken during the first 24 hours, and they are just precious. Kayla is doing a wonderful job, she is very caring but still calm and is proving that she is an excellent mother. 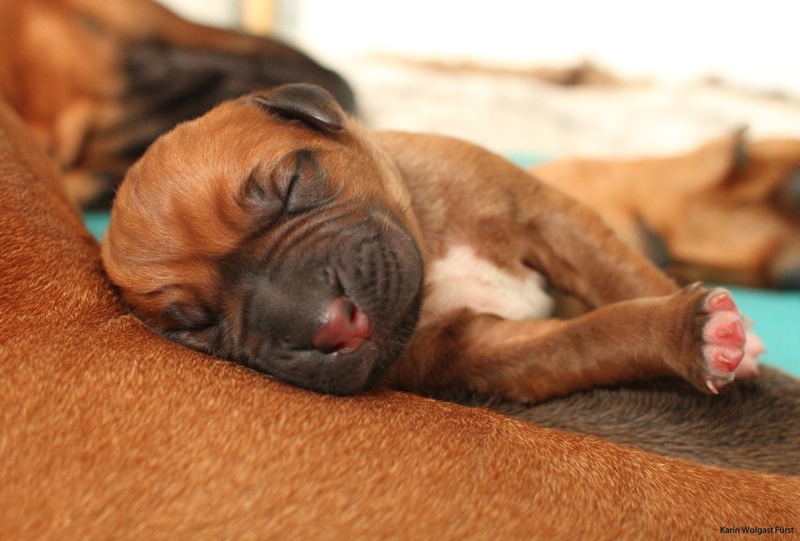 Visit the Puppy Diary for the latest photos and updates!